Accidents Happen. Are You Prepared? Accidents happen every day and there is a reason they are called accidents. Accidents are things that no one can adequately plan for and they don’t generally happen as a result of someone else’s personal negligence – or even your own. Trees fall, hurricanes happen, falling down stairs happens. All kinds of accidents happen to people that aren’t anyone’s fault. But if it’s no one else’s fault, then there’s no one else to cover the costs of the damage when it happens. While no amount of planning or preparation can keep you from ever experiencing an accident, what you can plan for is what to do after they happen. For almost 50 years, El Dorado Insurance Agency, Inc. has specialized in insuring people against the catastrophic results of all kinds of accidents. Whether it’s your car, your boat, your property or your person, we have insurance packages that can cover it all. Insurance policies can be full of confusing technical terms and multiple policies can either cancel certain benefits out or cause you to pay double the price for the same coverage. We offer the very highest levels of expertise, service and professionalism to our customers, just as we have for nearly 50 years now. Our experienced and knowledgeable agents are able to answer any questions you have and help you understand complicated insurance language in plain English. We can create one package for your that meets all of your needs without providing a lot of extraneous coverage you don’t need. You don’t stay in business for nearly 50 years by being second best. We have been in business for that long for a reason. 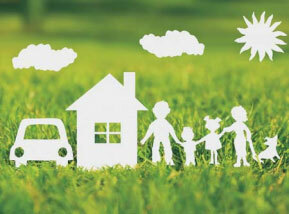 We are one of the industry’s leading insurance agencies and have been for a very long time now. And we hope to be one for a long time to come. We want to begin to build and establish a trusted relationship with you, but we can’t do that unless you reach out and contact us. Remember, a phone call is free. Giving us a call doesn’t obligate you to use our services, but it does give us a chance to show you what we can offer you. Let us help you take a look at your current insurance coverage to determine if there are any gaps or holes in your coverage and whether you may be paying for coverage you don’t actually need. To learn more about the benefits of personal lines coverage from El Dorado or to obtain a quote, contact Andy Ring by email aring@eldoradoinsurance.com or call us today at 800.221.3386, ext. 278.